Philosopher Fox: Why Milo Yiannopoulos is going to win, and your hatred of him only makes him stronger. 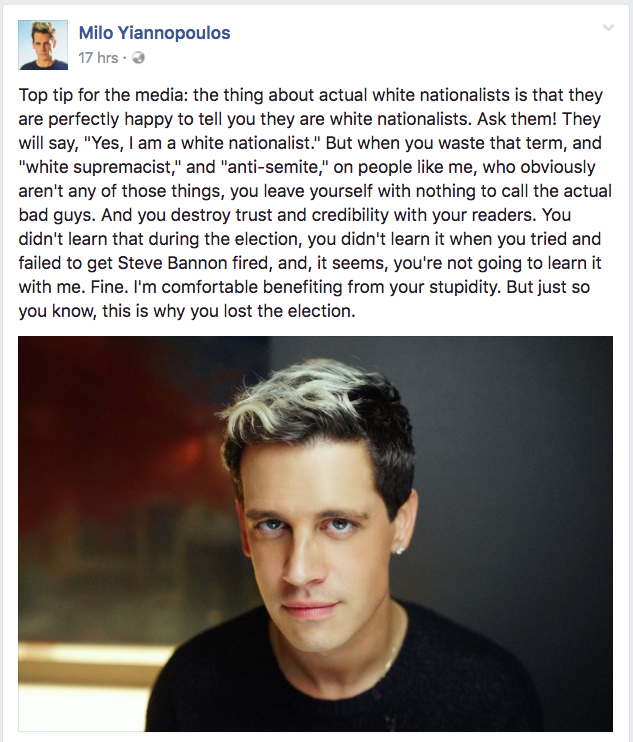 Why Milo Yiannopoulos is going to win, and your hatred of him only makes him stronger. This guy's book is already destroying the Amazon kindle charts, and it's not even released until March. This incredibly smart, young, gay man has some very important things to tell you. If you've never heard of the rising journalistic demi-god that is Milo Yiannopoulos, then I strongly recommend you get on it! You might see him in the newspapers and TV headlines for the next little while. They'll call him some names. They'll spread some false allegations. They'll ideological mischaracterise him. What they WON'T do is provide any arguments against his rhetoric. THAT is why he is winning, and so very needed in the public sphere right now.